This year’s WWETT Show in Indianapolis, Indiana was my 17th show in 18 years and I tell people all of the time that it is my favorite industry trade show. For 25 years or so WWETT was referred to simply as the Pumper Show (because that was really who it served) – in recent years it was renamed WWETT – for Water & Wastewater, Equipment, Treatment and Transport. WWETT is the most laid back trade show I have ever attended. The casual atmosphere is due in large part to the number of family businesses that both attend and exhibit at the show, Hydra-Tech Pumps included. When I walked into the Pumper Show for the very first time in 1999 in a sport coat, I quickly realized that I was overdressed – overalls or jeans dominate the show floor at WWETT – you won’t see many suits and ties at this show. It is not unusual to see a group of 5-10 people from a small pumper company with a territory of a county or two come strolling down the aisle. Many times the group is an entire family and includes kids or grandkids who are enjoying a trade show for the first time (and especially those booths with the candy dishes!). One of the companies that Hydra-Tech Pumps has had the pleasure of getting to know this year is AA Septic Service Inc. in Clayton, Indiana. James Penner’s father bought this business in 1984 from another family – more than 32 years later his family business still serves their community in central Indiana some 30 miles west of the Capital. About 15 years ago James began exploring various septage dewatering equipment for their operation including a belt press, dewatering box, and vacuum pump systems – none of which worked to his satisfaction. At the time he was still able to cost effectively dispose of his septage. 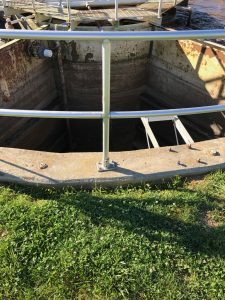 With the benefit of hindsight, James now says he should have pressed on because slowly but surely throughout the Pumper industry fewer and fewer municipal wastewater treatment plants were accepting septage. Also increased regulations restricting land application of septage, causing pumpers’ costs for disposal to significantly increase. 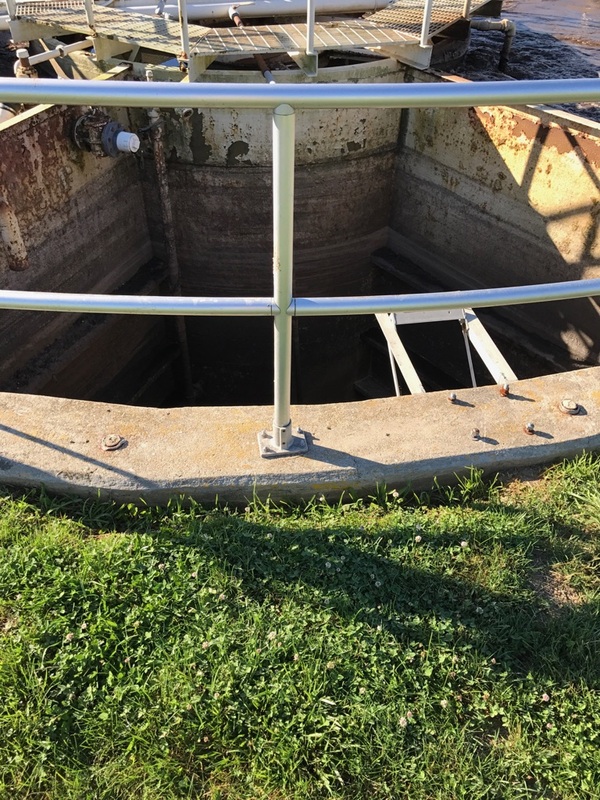 James decided that the techniques he had tried weren’t working, so he addressed the problem in true American entrepreneurial fashion – he designed and built a complete dewatering system that would allow him to treat his septage. After 4 years of developing, refining and testing his concept, he spun his idea off into In The Round Dewatering so that he could market and sell his solution to other pumpers around the country and around the world. James’ system is a patent pending dewatering drum that is fed from a storage tank and it processes a batch of sludge and polymer of up to 25,000 gallons. 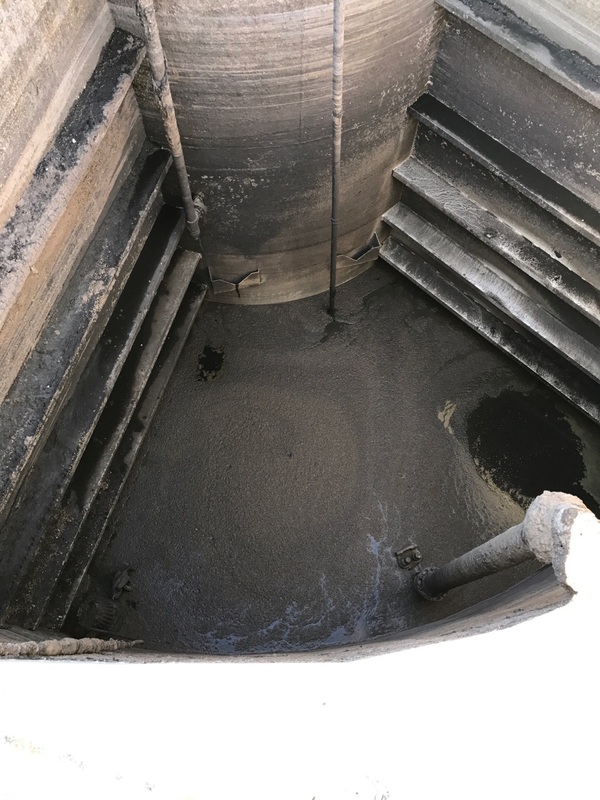 We hope to help more of James’ In The Round Dewatering drum customers efficiently get their wastewater from storage to drum more consistently, with better control, and with a light, reliable and long lasting pump. If you would like to learn more about James Penner’s serious dewatering drum, check out www.itrdewatering.com. Our thanks to James for his contributions to this story, as well as for his faith in our product – we are glad it did everything you hoped it would!